Please call 253.851.2900 or visit our website for further information. 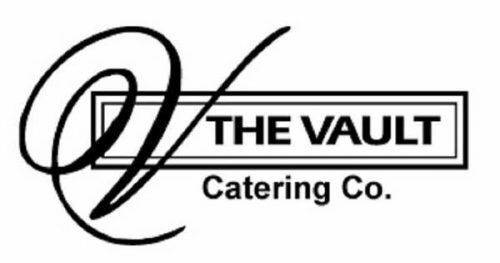 Gallucci’s Catering / Ultimate Events, Inc.
is a full service catering company that has specialized in wedding and corporate event catering since 1992. Gallucci’s offers buffet-style menus, themed food stations, small plate stations as well as plated meals. All our menus are created custom to suit your needs as well as your budget. Great food, creative presentation and professional service. Please call 253.826.1799 or visit Gallucis.com. Please call 253.761.9019 or visit our website for further information. Please call 253.572.2933 or visit our website for further information. Please call 360.943.9494 or visit our website for further information. The following links are provided for your convenience, and are not an endorsement of their services. Delivering beautiful floral arrangements and gift baskets throughout Kitsap County! Whatever your occasion–wedding, anniversary, birthday, funeral & more–Flowers to Go will create the perfect gift to capture your sentiment. 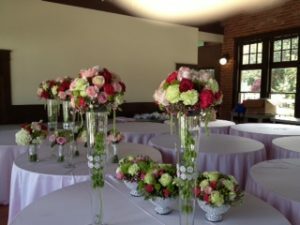 classic traditional bouquets, or bring out your personality with whimsical, colorful arrangements. I have spent 32 years in the hospitality industry in the Pacific Northwest as event planner, caterer, bed and breakfast owner and on-stage community theater vocalist. Most of these endeavors were inspired by my sincere interest and care in what makes people happy. I now offer my enthusiasm to your celebration on this, the most important day of your life. 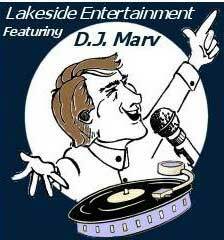 Marvin Stewart, at Lakeside Entertainment, provides professional DJ service for your wedding and reception. Your wedding will be the most important social event that you will ever plan. With our unique customized entertainment services you will enjoy a stress-free celebration. One that will be well-organized, super fun and memorable! We look forward to entertaining you. 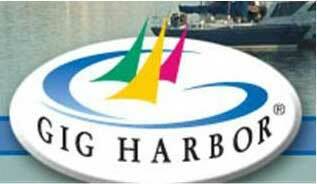 Visit the Chamber of Commerce for complete information about Gig Harbor! The historic Nichols Community Center is the place for your wedding reception, private party, or family reunion for over 130 guests. Large reception hall can accommodate up to 200 guests. Our beachfront suite is the perfect getaway for a romantic overnight, stroll on the beach or a special vacation! 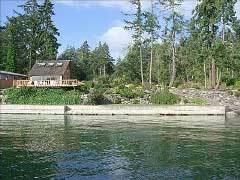 Enjoy Island Living on a sandy Puget Sound beach! The Fox Island Beach House waterfront vacation rental is part of a 13-acre compound with over 350′ of Puget Sound waterfront, located near Gig Harbor, Washington which includes a century old home, one of the original houses on Fox Island, with magnificent views of Mt. Rainier to the South and the Olympic Mountains to the North. Call 253.549.4910 for further information. Built in 1901 and restored in 2007, this lovely B&B is walking distance to Chapel on Echo Bay. Accommodation options include up to 3 complete bedroom suites with ensuite bathrooms. Rooms are offered separately, or the grounds and entire house are available for a special retreat or function. Sleeps 10. Please check out www.finditkitsap.com for information on other services throughout Kitsap County. For information where to stay and what to see and do on the Kitsap Peninsula, VisitKitsap.com. I am a licensed, certified and experienced bartender. For your upcoming party, reception or event, I will generate a positive, safe, friendly, atmosphere to keep the party flowing and clean up the bar service area afterwards. Whether your event is wedding reception formal, deck party casual, bachelorette or birthday party wild, costume mandatory or anywhere in between, I am prepared with all of the necessary skills and tools for each unique occasion. 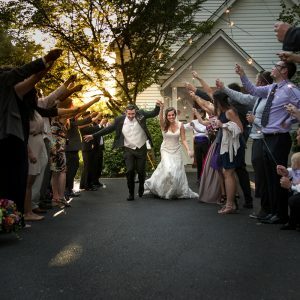 Since 1989 we have photographed hundreds of Northwest weddings. We still love being at celebrations, using our cameras to help people remember their day. Please feel free to give us a call – seven days a week – to see if we have the day you are thinking of open. Darel Roa Photography gives you more than pictures, Darel provides priceless moments that come from 25 years of experience and state-of-the-art technology. When you combine Darel’s experience, technology and creativity, you have a treasure that you will be proud of for years to come. Call (253) 848-6463 or (888) 848-6463. Beautiful photography of your wedding. When the big day comes, just relax! If things don’t go as planned, if things come up that you didn’t expect, let it roll off your back. Most importantly, at the end of the day, you’ll end up married. Spend time with friends and family, and with Jen and Jody you’ll have amazing photos to show for it later, because you’ll never taste your cake again, wear your gown or smell your flowers, but your photographs will last for generations. Majestic Image has specialized in wedding photography for the past 20 years. We believe that you should not mortgage your future on your wedding expenses therefore youll find Majestics wedding packages are affordable yet journalistically creative. Don Nelson, owner of Majestic Image, enjoys capturing the spontaneous romantic moments of your wedding day. Specializing in Engagement Portraits, Senior, Family and Childrens portraits. Whether photographing a couple or a child, my goal is to capture the joy and personality of the person or moment. Visit my website to view my photo galleries, and engagement photography packages. Visit our website for your complete wedding photography package. Candid specialist in capturing romance and excitement. Your wedding story is told through our award-winning photographic style. Extensive experience in news photojournalism allows the capture of your most relaxed and elegant moments with an unique approach. You will take great pride in your picture-book story of an unforgettable day and cherish all the special and everlasting memories. 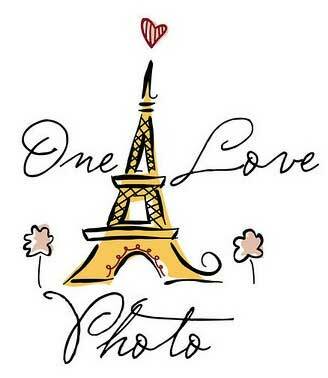 Mike and Karen Willett will capture your special occasion. Very familiar with the Chapel as an outstanding venue.